One of the prettiest buildings on the market square. Cars can still circulate on the market square outside of business hours. 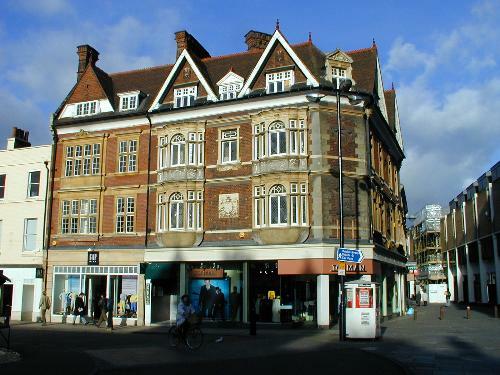 Petty Curry, on the right, also used to allow cars, but has been a pedestrian zone since the conversion of the area to the Lion Yard shopping centre.